SOUTHINGTON - A Southington man has pleaded not guilty to viciously beating a woman in March, when he allegedly held a knife to her throat and tried throwing her out the window, and allegedly contacting the victim three times against a judge’s orders. 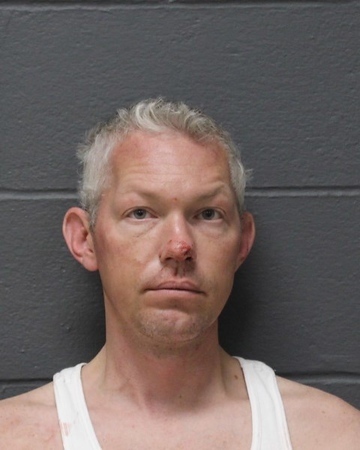 Michael Lasek, 39, faces numerous charges after allegedly striking a woman in the face multiple times and kicking her in the stomach during a domestic dispute on March 20 at the Residence Inn, at 778 West St. While in one of the rooms at the hotel, he also allegedly strangled the woman, cutting off her ability to breathe, according to police, held a knife to her throat and tried to throw her out of the room’s window. Lasek was charged with second-degree assault, second-degree threatening, second-degree unlawful restraint, second-degree strangulation, interfering with a 911 call and second-degree breach of peace. Following the March arrest, Lasek was ordered by a judge not to contact the victim. Lasek has been arrested three times for allegedly violating the order, piling up a total of five counts of violation of a protective order. During his most recent arrest, on July 22, state prosecutors allege Lasek called the woman multiple times and sent her 14 text messages. Prosecutors have said the woman has extreme safety concerns. During a hearing Thursday, in Bristol Superior Court, Lasek pleaded not guilty to all charges. His attorney said he is in negotiations with state prosecutors about a potential plea agreement. Lasek, who is being held on $75,000 bond, is due back in court in October. Posted in New Britain Herald, Southington Herald on Thursday, 6 September 2018 15:35. Updated: Thursday, 6 September 2018 15:38.